Before we moved into our home, I never used my vintage bud vase Zan bought me years ago. When I bought flowers from the store, it was to make an arrangement, not to cut them down small to fit the bud vase. 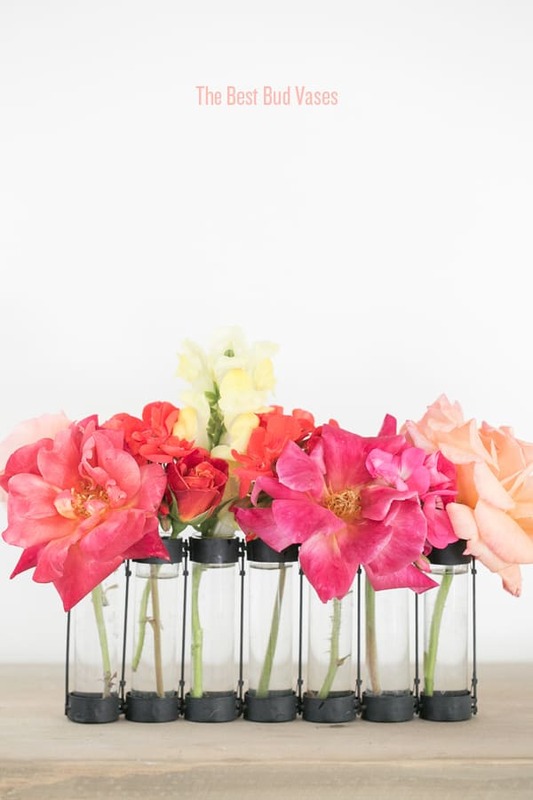 It wasn’t until a few weeks ago I noticed the garden out front blooming with the most vibrant roses, snap dragons and other exquisite flowers that it clicked… um hello, where is my bud vase?! I searched a few places before finding it and giving it a good dusting. It would be difficult to make an arrangement from the flowers in our garden, but they are absolutely perfect to snip for a bud vase. I’m now borderline obsessed with my vase and I keep it above my kitchen sink, where I can see it everyday. Such a beautiful way to welcome spring and a blooming garden! 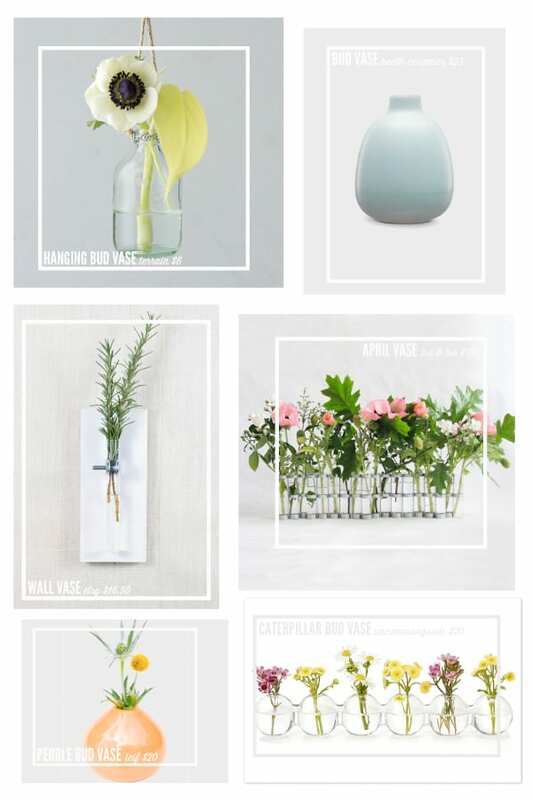 Below are a few of my favorite bud vases from around the web (and also the world! ).